Changes to the Strangford Lough Ferry Timetable? | SCENE! Home > Blog > Travel > Changes to the Strangford Lough Ferry Timetable? Have your say on proposed changes to the Strangford Lough Ferry Service? 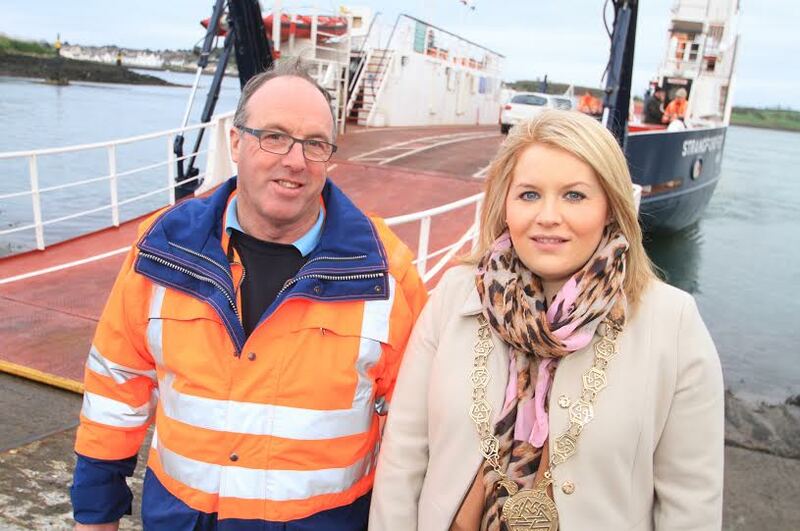 Eddie McDonnell, skipper of the Strangford Ferry, with Chairperson of Newry Mourne and Down District Council, Councillor Naomi Bailie.